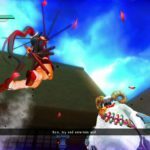 3rd-strike.com | SENRAN KAGURA Burst Re:Newal – out now on PS4! 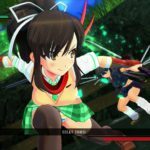 SENRAN KAGURA Burst Re:Newal – out now on PS4! 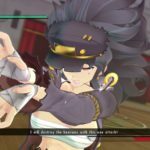 Good news for SENRAN KAGURA fans! SENRAN KAGURA Burst Re:Newal launches today on the PS4! 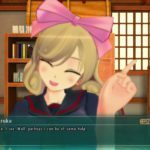 SENRAN KAGURA Burst Re:Newal contains all the stories from SENRAN KAGURA Burst but they have been reworked a bit to make it a whole new experience. 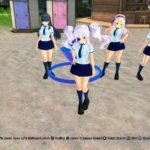 The game is still the same known busy-brawler and will this time showcase the fated rivalry between Hanzo National Academy and Hebijo Clandestine Girls’ Academy. A few additional DLC episodes will be released soon after release. These episodes will reveal more about Yumi and Miyabi’s histories before meeting Asuka and Homura. 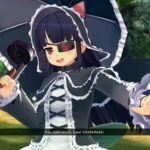 Some Cosmetic DLC that had been previously released for SENRAN KAGURA ESTIVAL VERSUS will also be available for SENRAN KAGURA Burst Re:Newal. SENRAN KAGURA Burst Re:Newal is available as a Digital Deluxe edition, as Shinobi Rivals Edition, and physical Collector’s Edition, as Bountiful Beauties Edition. Bountiful Beauties Edition is exclusive to the Marvelous Games website, you can check out an unboxing of this edition here. SENRAN KAGURA Burst Re:Newal is out now on PS4 and will be released the 22nd of January for PC on Steam. During the first four weeks of launch on PS4, players will be able to download two free DLC costumes. These outfits are called “Cutie ♡ Melon” and “Cutie ♡ Peach” and will only be free during those four weeks, afterward, they will be available for purchase as premium DLC.